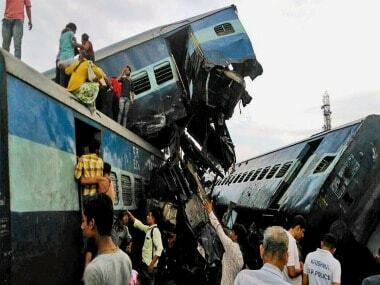 New Delhi/Mumbai: Under attack after the Utkal Express derailment, the railway ministry said on Monday that there has been a decline in the number of train accidents in the last three years after it initiated a series of safety measures. In 2014-15, the number of accidents was 135 which decreased to 107 in 2015-16 and further to 104 in 2016-17, it said. 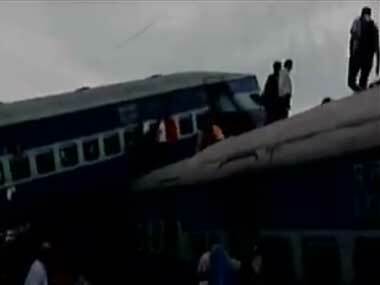 The issue of rail safety has come to the fore after 13 coaches of Utkal Express derailed near Khautali in Uttar Pradesh on Saturday evening, killing 22 people and injuring 156 others. Twenty-six of the injured are in a critical condition. In the current year, train accidents decreased from 29 to 15 during the April-June span in comparison to the corresponding period of 2016, an improvement of 48.3 percent, a ministry statement said. "The first three years of this government have seen the number declining to 652," it said. "Accidents per million train kilometres, an important index of safety , have come down from 0.23 in 2006-2007 to 0.10 in 2015-2016 and further to 0.09 in the year 2016-2017 despite a quantum increase in the volume of traffic carried by Indian Railways over the years," said a senior railway official. While derailments have continued to be a thorn for the railways, with 63 such cases in 2014-2015, 65 the next year and 78 in 2016-2017, the largest transporter has eliminated 4258 unmanned level crossings (UMLC) in last three years, leading to drop in fatalities from UMLC accidents from 64 percent of total fatalities in 2013-14 to 16.81 percent in 2016-17, the statement said. "Investments for safety have increased from Rs 33,972 crore per year during the UPA II to Rs 54,031 crore every year under this government, a jump of 60 percent. The average vacancy in safety positions during the period 2009-10 to 2013-14 was 18.65 percent of the total sanctioned strength. This has dropped down to 16.86 percent in 2017 despite the sanctioned strength increasing by five percent from 2014 to 2017," it said. "There are 27,181 level crossings in India of which 19,480 are manned and 7,701 are unmanned. 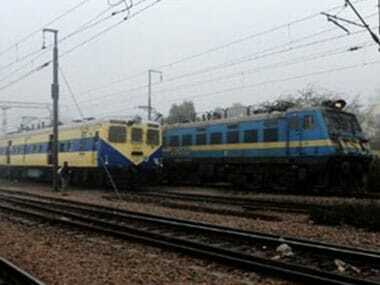 Planning has been made to eliminate unmanned level crossings along broad gauge tracks by 2020," the official said. 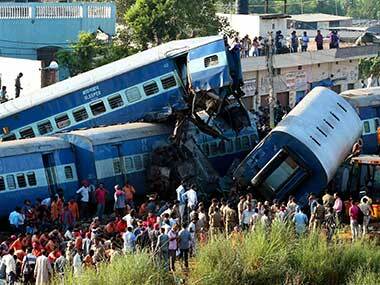 "We are embarking on a mission to provide upgraded safety features on coaching stock. It has been decided that only the Linke Hofmann Busch (LHB) coaches will be manufactured from 2018-19 as they are of a superior design that reduces the chances of derailment and mitigates the chances of grievous injury or death in case of accidents," the official said. "It has been decided to carry out improvement in safety features in existing the Integral Coach Factory (ICF)-designed coaches which have a residual life of over 10 years. 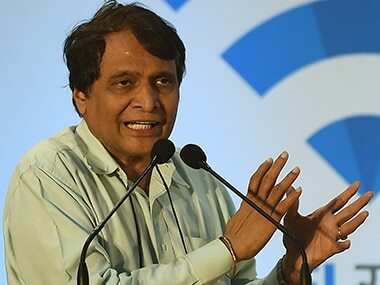 About 40,000 coaches will be provided with these features in the next five years," he said.